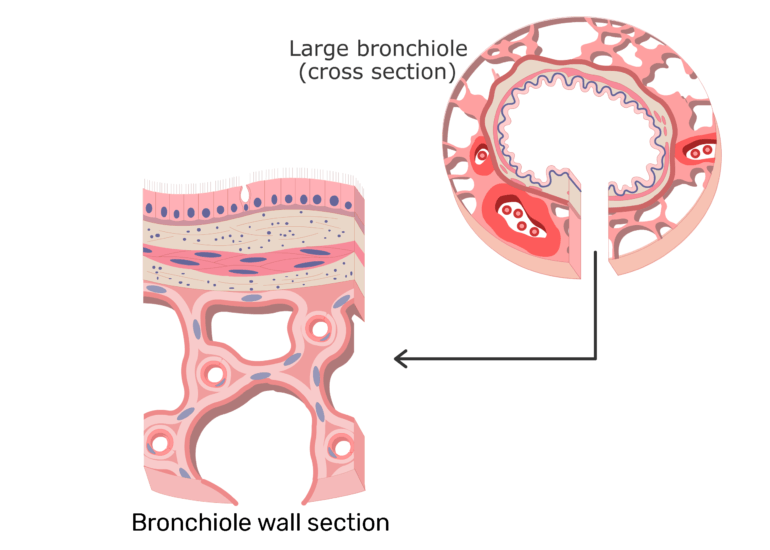 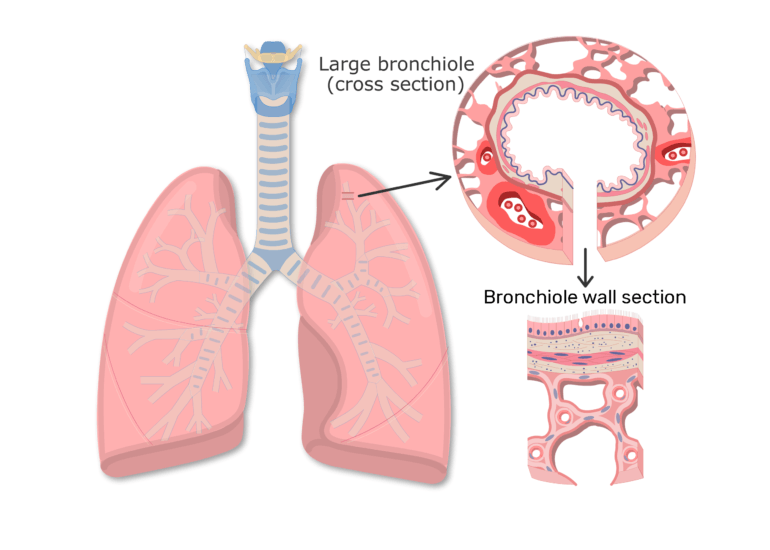 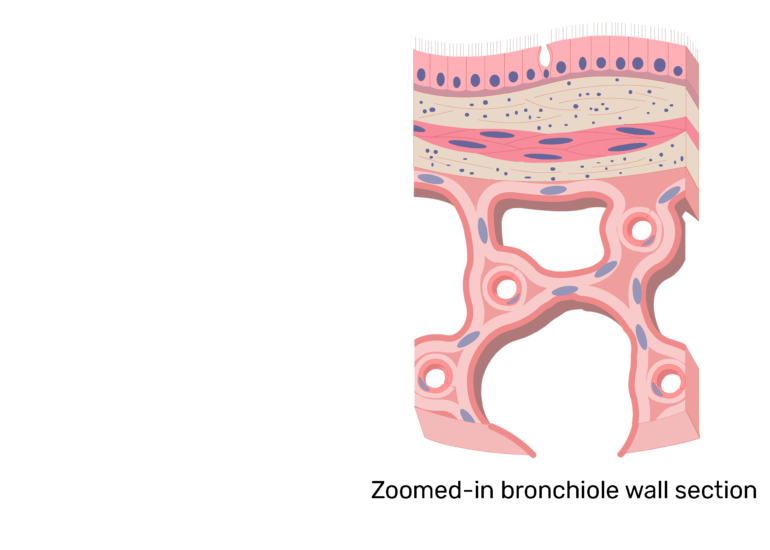 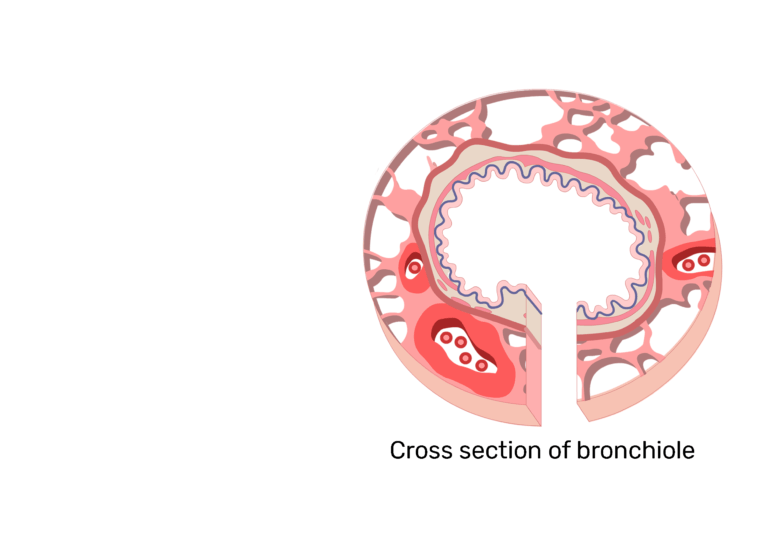 An enlarged cross-sectional view of a bronchiole reveals the tissue layers that make up the wall. Ciliated simple columnar cells form the epithelial lining in the large bronchioles. 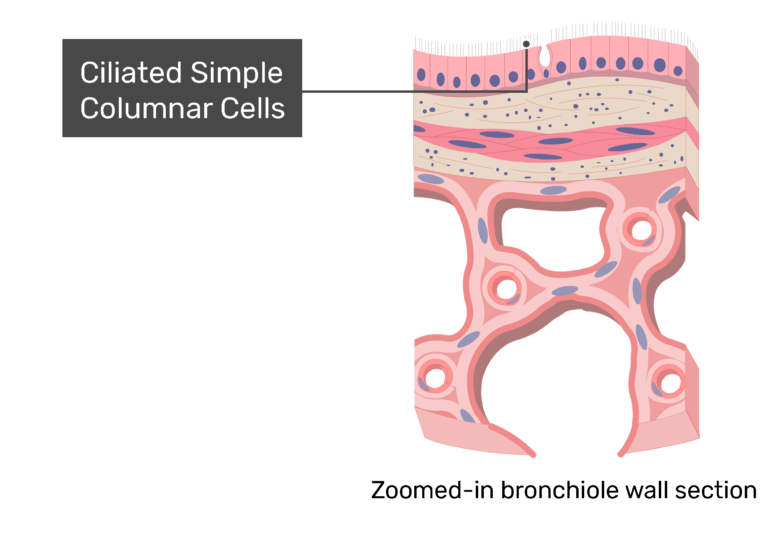 In the small bronchioles, the epithelium changes to simple cuboid cells. 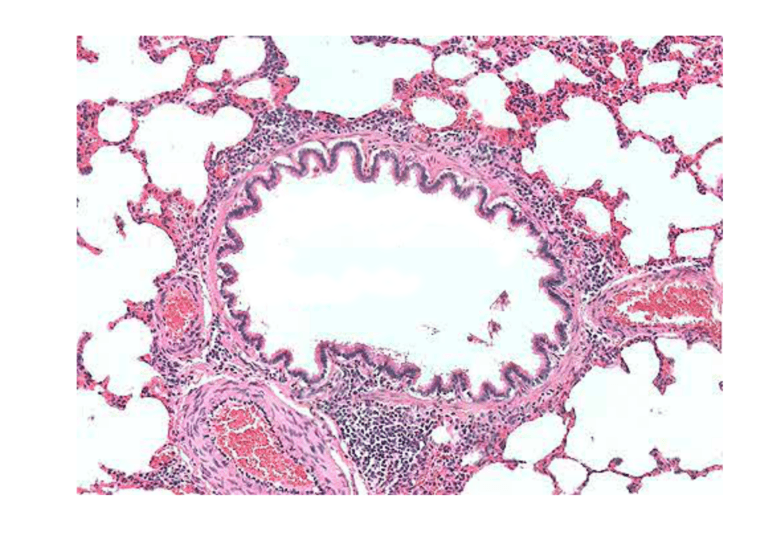 Goblet cells and seromucous glands become less numerous with each bronchiole division. 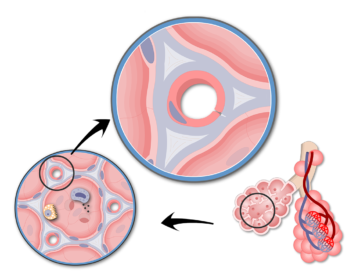 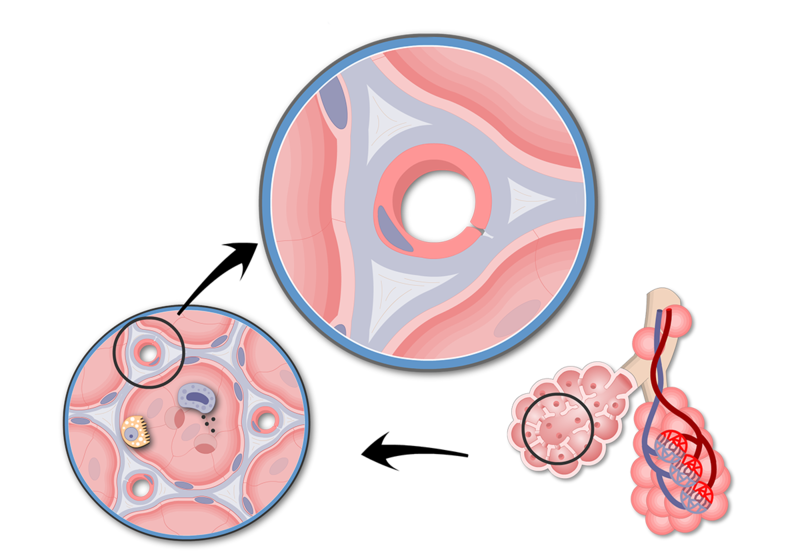 A ring of smooth muscle fibers surrounds the epithelium. 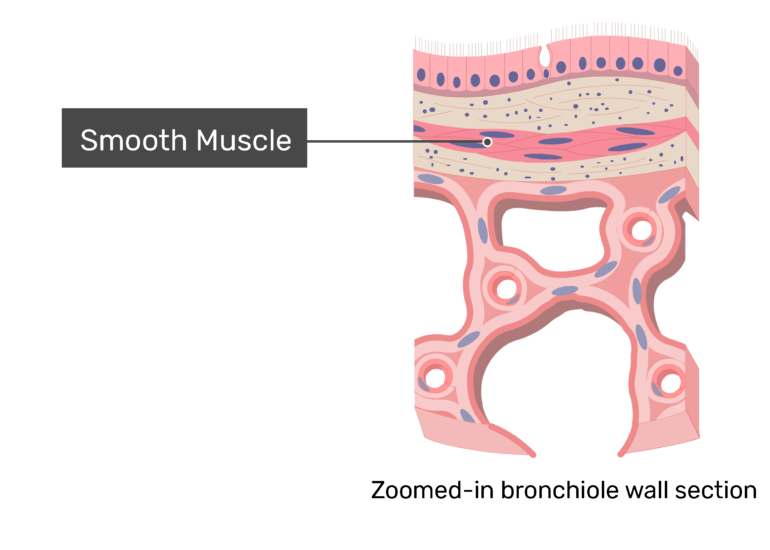 During exhalation, these muscle fibers contract to help force air out of the bronchioles. The resulting compression causes the epithelium to fold. 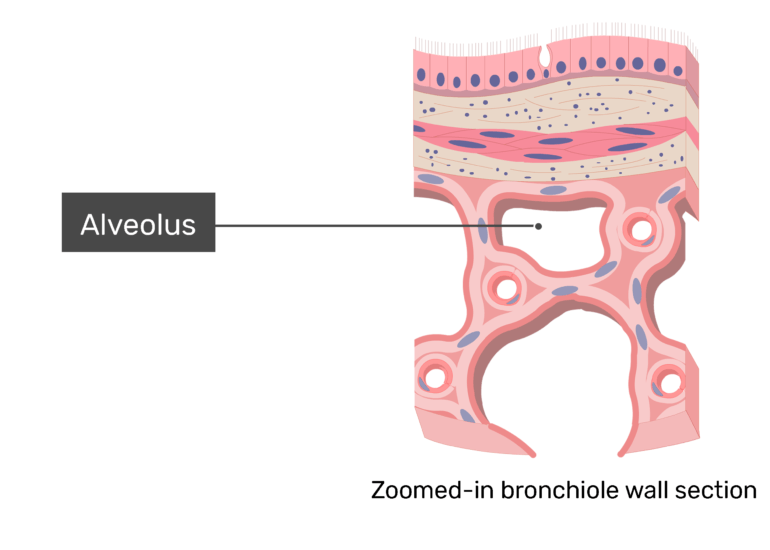 The thin-walled brochioles are attached to the surrounding elastic alveoli. 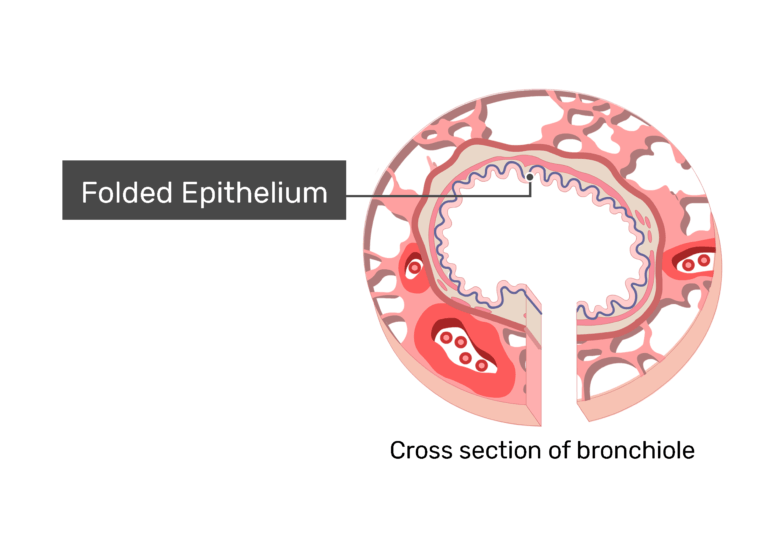 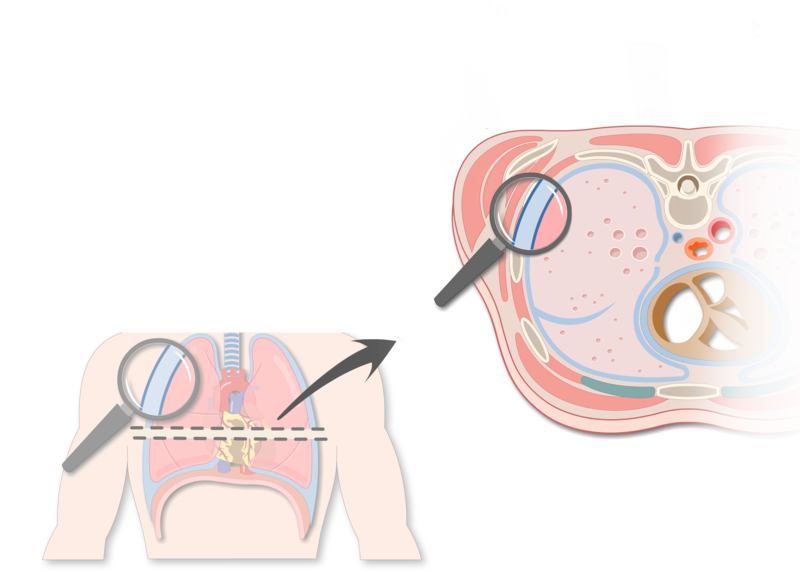 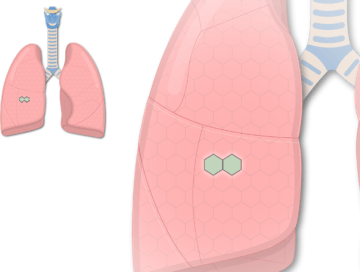 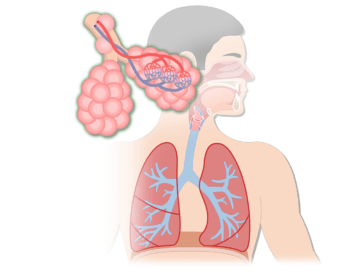 This connection keeps the bronchioles from collapsing during breathing move-ments. 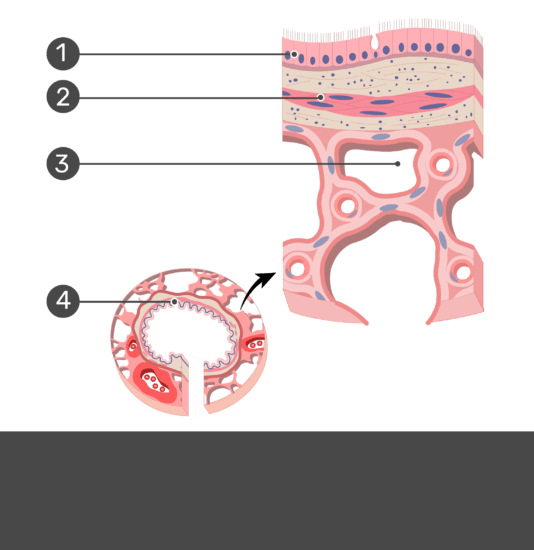 Because they are not needed for support, cartilage plates are characteristically absent.